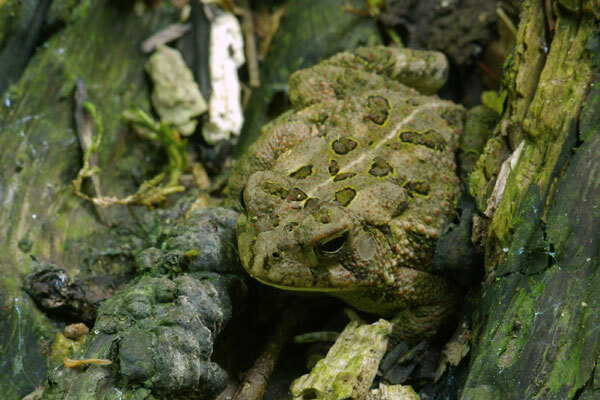 The genus Anaxyrus was split from Bufo by Frost et al in 2006. This split is particularly controversial among herpetologists, and many references still use the long-established Bufo. This toad was skulking - that's right, skulking! - in the hollow of an old stump, right alongside the trail. I didn't want to disturb its skulking so I just photographed it where it was and moved on.